MEMBERS-ONLY TRAVEL DISCOUNTS on villa rentals, cooking schools, walking tours, car rentals and more. As you check out please provide the EMAIL ADDRESS for the GIFT RECIPIENT in the marked section. 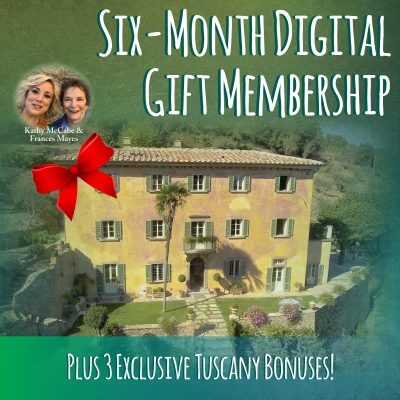 Since this is a digital membership, we will send a gift email with logon information.